Black History Month: Girl Scouts’ Legacy of Inclusivity « Girl Scouts of Gulfcoast Florida, Inc. Girl Scout Intermediates in front of the United States Capitol, Washington, D.C., 1940. Beginning with that first small troop gathering of 18 culturally and ethnically diverse girls, Juliette Low broke the conventions of the time by reaching across class, cultural, and ethnic boundaries to ensure all girls had a place to grow and develop their leadership skills. Today, as we continue to celebrate Black History Month, we highlight how Girl Scouts has welcomed African American girls to the Girl Scout Movement throughout our history. Girl Scouts has long been a pioneer in acceptance, a beacon of inclusivity, and a stalwart civic advocate to make sure every girl—regardless of her race, religion, orientation, or socioeconomic background—has the opportunity to thrive. Our promise of inclusivity was fulfilled early when African American girls became members of the third U.S. troop formed in New Bedford, Massachusetts, in 1913, according to the March 1952 issue of Ebony magazine. The first all-African American Girl Scout troops were established as early as 1917. Troops for girls with disabilities formed that same year. One of the earliest Latina troops was formed in Houston in 1922. Girl Scout troops supported Japanese American girls in internment camps in the 1940s. And after much perseverance, in 1942, Josephine Holloway established one of the South’s first African American troops in Nashville, Tennessee. By the 1950s, Girl Scouts was leading the charge to encourage councils to fully integrate all troops. Ebony magazine commended Girl Scouts’ inclusivity during GSUSA’s 40th anniversary, noting that in 1951, there were more than 1,500 racially integrated Girl Scout troops and more than 1,800 all-African American troops (mostly located in the South). The magazine cites Girl Scouts as “making slow and steady progress toward surmounting the racial barriers of the region.” As Girl Scouts began a national effort to desegregate troops, the Movement was increasingly recognized as “a force for desegregation,” especially in the South. 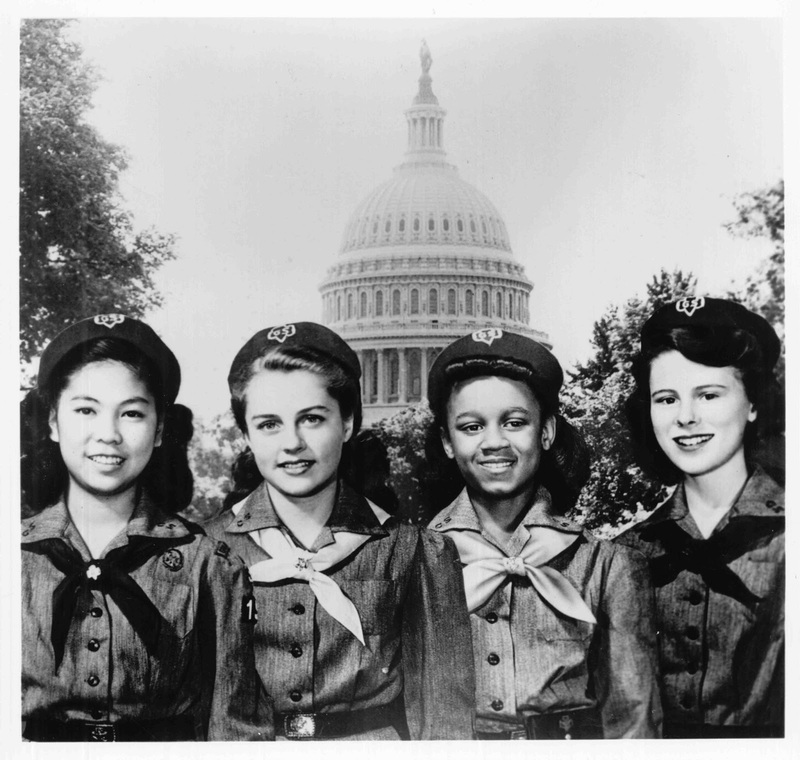 As the 1960s dawned, and the Civil Rights Movement gained momentum, Girl Scouts launched several major initiatives related to racial and ethnic diversity and made a concerted effort to bridge the gap between the principles of equality and the realities of the organization’s administration, publications, councils, troops, and leadership. In 1969, Girl Scouts launched “Action 70,” a nationwide effort to overcome prejudice and build better relationships among persons of all ages, religions, and races. The following decades brought continued commitment to issues of diversity and multiculturalism, with the organization continuing outreach into the African American and other minority communities and pledging to promote respect and appreciation for the religious, racial, ethnic, social, and economic diversity of our country. Today, acceptance, inclusion, and diversity continue to be a top priority for Girl Scouts. So, let’s take a moment to reflect on our Movement’s accomplishments in the area of inclusivity. Then, let’s redouble our efforts to fulfill Juliette Gordon Low’s vision that Girl Scouts is—and will continue to be—a safe, welcoming place for ALL girls. ← Girl Scout Volunteers, We Love You!